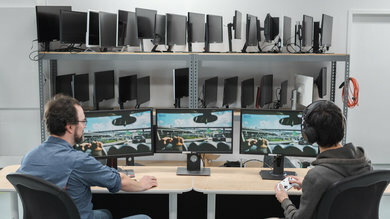 Whether you are in a dorm, or simply don't have space for a big TV, console gaming on a monitor is a great alternative. 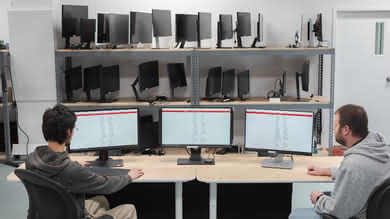 Like any technology, not all monitors are created equal, and there are very different requirements depending on your usage. Luckily, the Xbox One is able to take advantage of many of the recent PC gaming technologies, including FreeSync VRR, so many of the best monitors for PC gaming are also great for gaming on the Xbox One. We've reviewed 64 monitors, and below are our recommendations for the best monitors for Xbox One X to purchase in 2019. 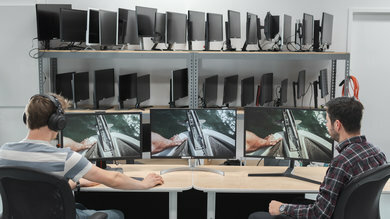 See also our recommendations for the best curved gaming monitors, the best monitors for PS4 and the best FreeSync monitors. The Samsung CHG70 is the best gaming monitor for Xbox One X that we've reviewed so far. It is an excellent curved gaming monitor that delivers decent overall picture quality, a great 1440p resolution, and supports HDR. 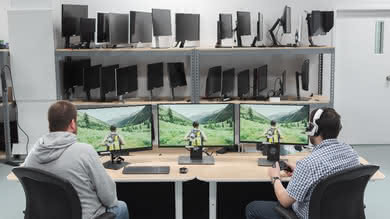 It also has excellent low input lag, ensuring that you are able to respond quickly to everything happening on screen. This monitor is great for the Xbox One S or X, as they can now output 1440p or 120 Hz, although the CHG70 doesn't support both at the same time. 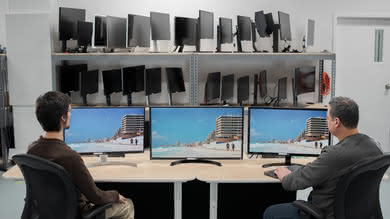 The CHG70 has outstanding motion handling, with excellent response time and a great FreeSync range. 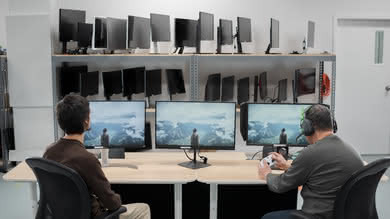 Unfortunately, though, when FreeSync is enabled over HDMI, the maximum refresh rate drops to 100 Hz, which means on the Xbox One you have to choose between a 120 Hz refresh rate without FreeSync, or a 60 Hz refresh rate with FreeSync, as the Xbox doesn't support 100 Hz. It doesn't look that great in a dark room, as there is quite a bit of clouding in dark scenes. It also has narrow viewing angles, so it is best enjoyed from directly in front. 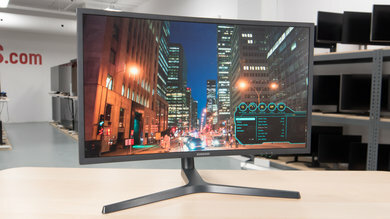 Overall, the Samsung CHG70 is a very good monitor that is an excellent choice for an Xbox One gaming monitor. 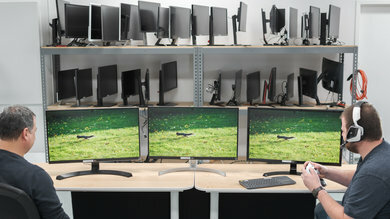 It is available in two sizes; we reviewed the 27", but it is also available in 32". 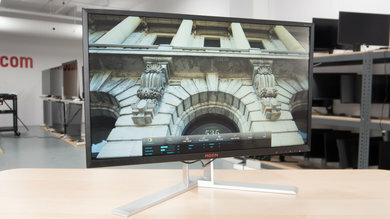 If you find the Samsung CHG70 expensive and want something a little cheaper, then get the AOC AGON AG271QX. 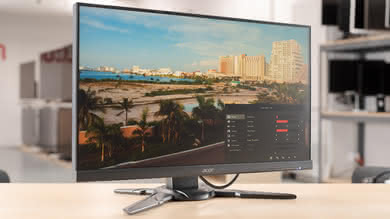 It is a great 1440p gaming monitor with very fast response time, so fast motion looks very crisp, and a 144 Hz refresh rate with full range FreeSync support to ensure tear-free gaming, even if you're using an HDMI cable. Unfortunately, there is no HDR support on the AGON and its viewing angles are bad, so it is not well-suited for co-op gaming. Currently, due to a bug on the Xbox One, you can't enable FreeSync with 1440p @ 120 Hz on the AGON AG271QX, and we do not know if or when Microsoft will correct this limitation. 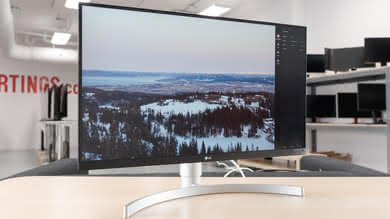 The best 4k gaming monitor for Xbox One we've reviewed thus far for is the LG 27UK650. 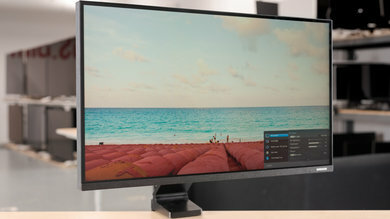 It is a 27-inch 4k IPS monitor that delivers a good picture quality and performs well in most uses. It has low input lag, very good motion handling, and FreeSync support, but it is limited to a 60 Hz refresh rate. This might deter some serious gamers. 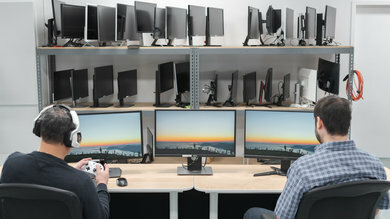 For those who game on an Xbox One, the monitor is a great choice. Fast moving content is crystal clear due to the fast response time, and the monitor is very responsive thanks to the low input lag. The support for FreeSync VRR ensures an almost tear-free gaming experience, which is only limited by the 60 Hz refresh rate. 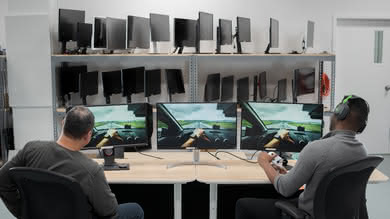 The image remains accurate when viewed from the side, thanks to the IPS panel, and this is great for co-op gaming. 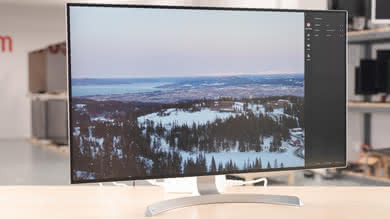 On the downside, although the 27UK650 supports HDR, it cannot make HDR content stand out, as it can't get bright enough and doesn't have a wide color gamut. 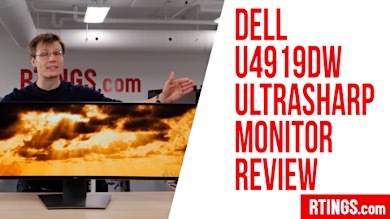 Overall, it is a very good monitor that performs well in most uses, and it is great for Xbox One gaming. 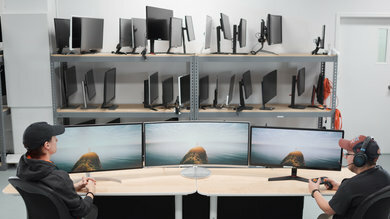 If you like the gaming performance of the LG 27UK650, but would prefer a larger monitor, check out the LG 32UD99. It is a great gaming monitor for the Xbox One X. 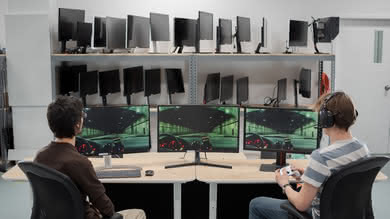 The 32-inch, 4k screen delivers a more immersive gaming experience, with a 40% larger display area than the 27UK650. 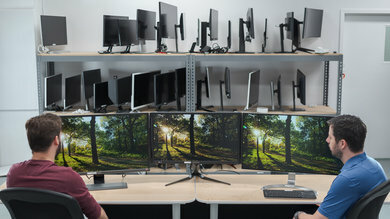 In terms of gaming performance, the 32UD99 is almost identical to the 27UK650, which is great. It also has a few convenience features, including a USB hub on the back, great for connecting a charging station or other USB accessories. If you have an original Xbox One that doesn't support 1440p or 4k, the ViewSonic XG2402 is the best 1080p monitor for Xbox One gaming. 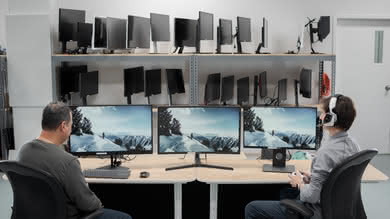 It delivers decent picture quality, and it has outstanding motion handling and excellent low input lag. It has a 144 Hz refresh rate, great if you do have a newer Xbox One, and it supports FreeSync for a nearly tear-free gaming experience on any Xbox One. Motion looks crystal clear, thanks to the extremely fast response time, so fast moving objects have no blur trail. 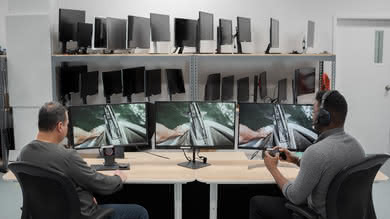 It supports AMD FreeSync over HDMI for the Xbox One, and over DisplayPort if you want to hook up your PC too. Even if you're gaming at 60 Hz on an original Xbox One, the XG2402 has excellent low input lag. 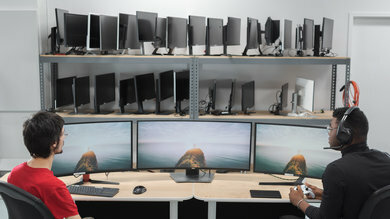 Unfortunately, it doesn't look great in a dark room, due to the disappointing contrast ratio and poor black uniformity. Overall, it is a great gaming monitor that should please even the most demanding Xbox One gamers. 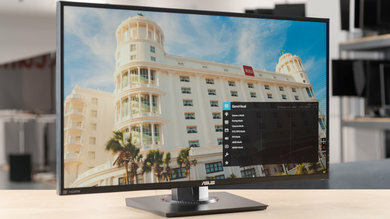 If you want to save a bit of money, the Acer XF251Q is a cheaper alternative to the ViewSonic XG2402. 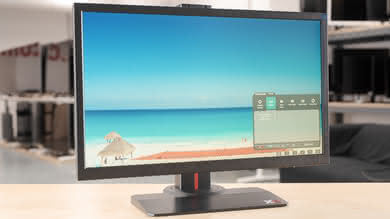 Although not as versatile, the XF251Q is a great 1080p gaming monitor. It has an extremely fast response time and excellent low input lag. 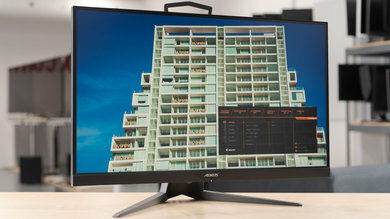 Unfortunately, it is limited to a 75 Hz refresh rate, which may disappoint more serious gamers. 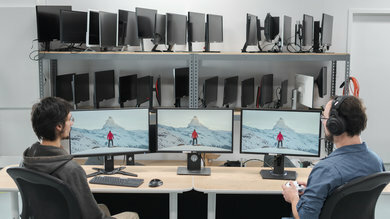 Like the XG2402, it isn't very versatile and is best suited as a gaming monitor. Our recommendations are based on what we think are the best monitors for Xbox One X currently available. They are adapted to be valid for most people, in each price range. Rating is based on our review, factoring in price and feedback from our visitors.